Who wears the trousers? You do. But do you wear the full gamut of trousers, or have you found yourself stuck in a legwear rut? There’s a whole world of trousers styles out there. It’s time to deck your lower limbs in style. 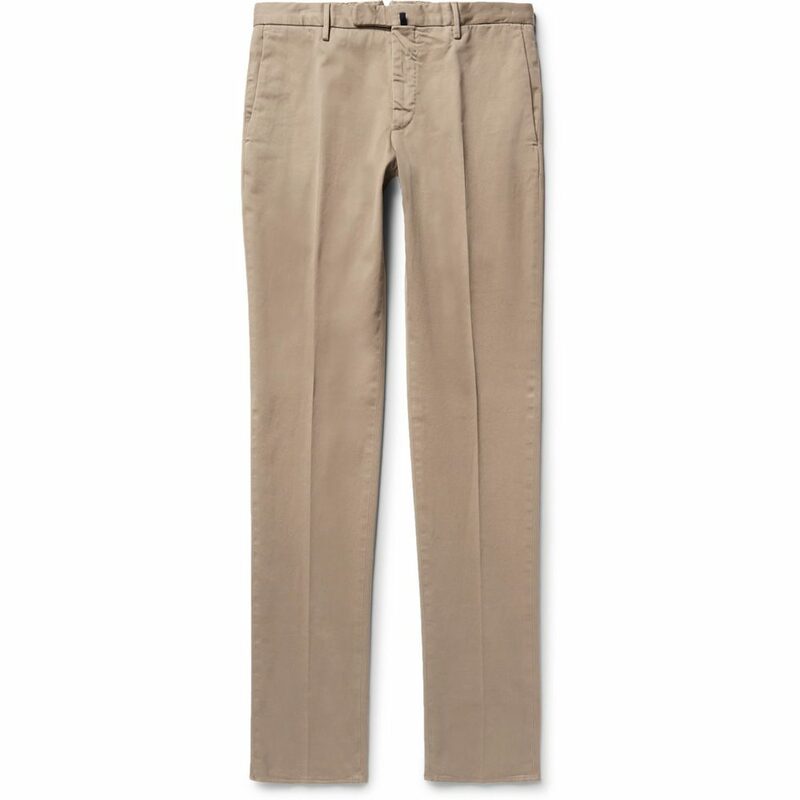 Sometimes also called chinos but more properly called khakis after their original colour, this trouser style found its origins in the US Navy – worn by officers for service in the warm climes of the Pacific – but it was quickly picked up by civilians and went on to become a cornerstone of post-WW2 preppy style. 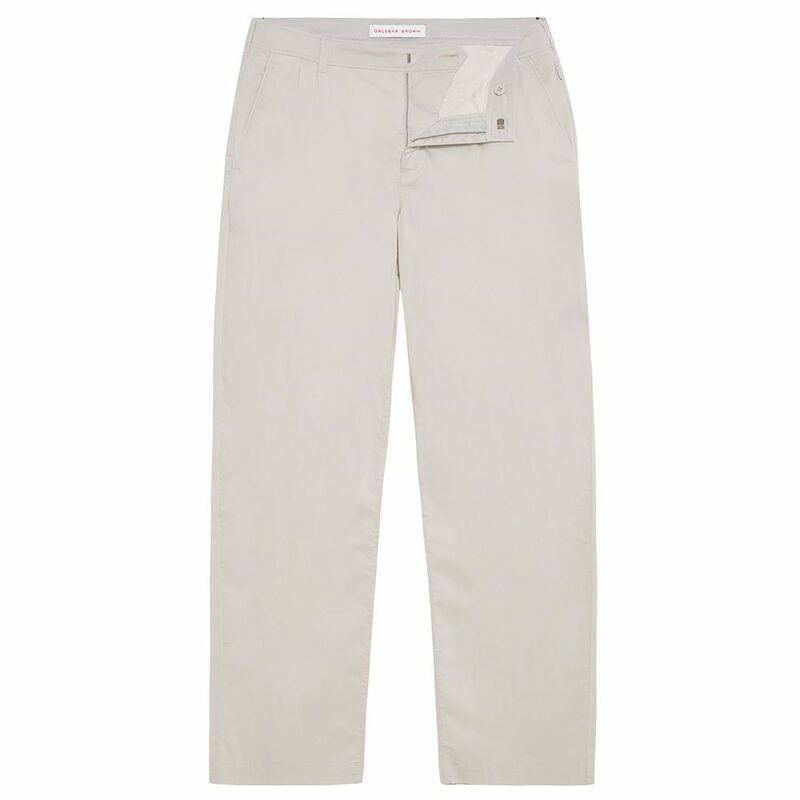 A hardy, smarter alternative to denim, while still being a casual look, khakis don’t just come in the dun shade implied by the name, even if this is the classic colour. Nor do they only come in the traditional straight-leg cut. Wear them rolled with boots in winter and minimal sneakers or loafers in summer. When it doubt, a pair of chinos can (and will) suit most occasions. So often side-lined as more fuddy-duddy than fashion, corduroy (from cord du roi, for it was once woven for kings) is cooler than it at first seems. It’s tough, for one – the stuff of proper working clothes before denim took over – and ages beautifully. 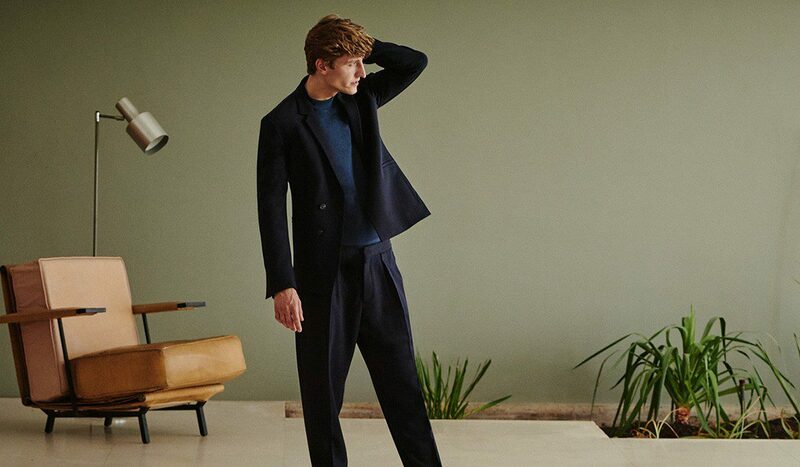 It softens a suit – literally and figuratively – when made into tailoring. 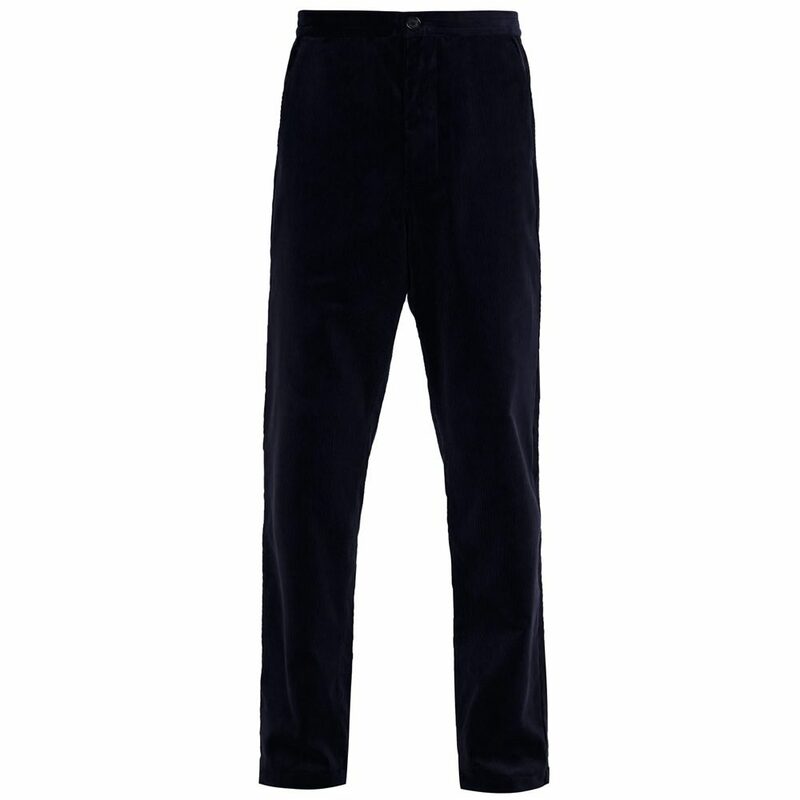 But in a pair of trousers it strikes the ideal line between smart and casual, teaming especially well with plain shirts and knitwear; which is to say when this lustrous fabric is allowed to be the star of the show. It’s available in a wide chunky wale (that’s the width of the raised section of what is, in effect, cut velvet) or a thinner needlecord, which works best in a jean cut. There’s a difference between a trouser that’s been rolled short, and one that’s been cut short. The former speaks of easy cool, the latter of Italianate dandy style – which some will think of effortlessly chic, and others as deplorably naff. Certainly, showing a lot of sock has been a trend of recent years and is, arguably, now looking rather tired, though showing some ankle – going sockless with loafers or sneakers – has a definite easy-going, high-summer vibe. Note that this needs a tapered/narrow-legged cut, and should be cropped conservatively. You’re not wearing long shorts or three-quarter lengths (ever). As for dressing for work, take the Goldilocks approach: your trousers should neither be too long nor too short, but just right, breaking ever so gently over your shoe. 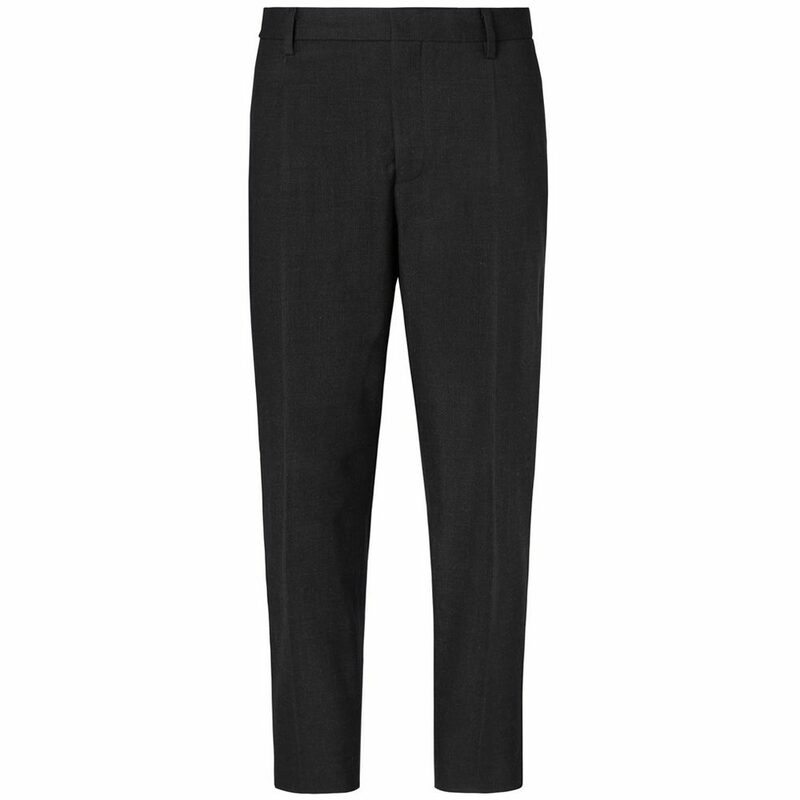 Wool trousers used to only typically figure as part of a suit. In more recent years men have learned to wear smart separates for a style that’s relaxed but still sufficiently formal to function in most workplaces, or on a smart night out. Latter years have seen slimline styles dressed down with all-white trainers, but of course they look just as good with a solid pair of brogues or Derby shoes. 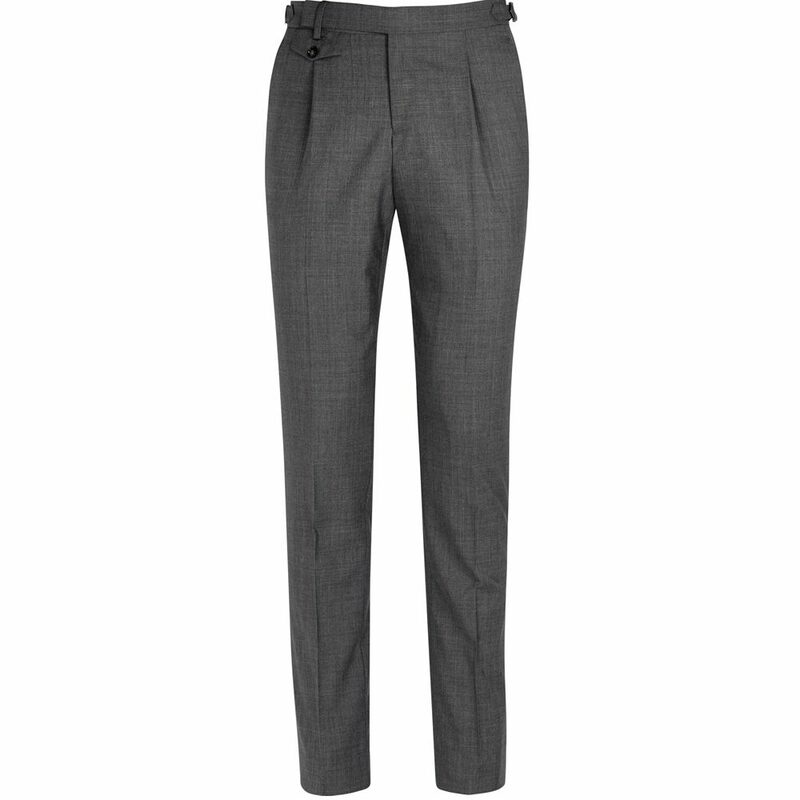 Since wool trousers don’t have a lot to shout about in themselves, a good fit is crucial: avoid anything that hugs your legs at any point, but keep the silhouette trim to middling. Always wear nice socks. A higher rise (the distance between belt line and crotch) on a pair of trousers is, no question, more swing easy than a low rise. But moderation is called for. Get the rise too high and it’s hard to get on your bike. Likewise, get the rise too low and everyone gets to enjoy the view of your novelty pants/arse-crack. Neither is great. 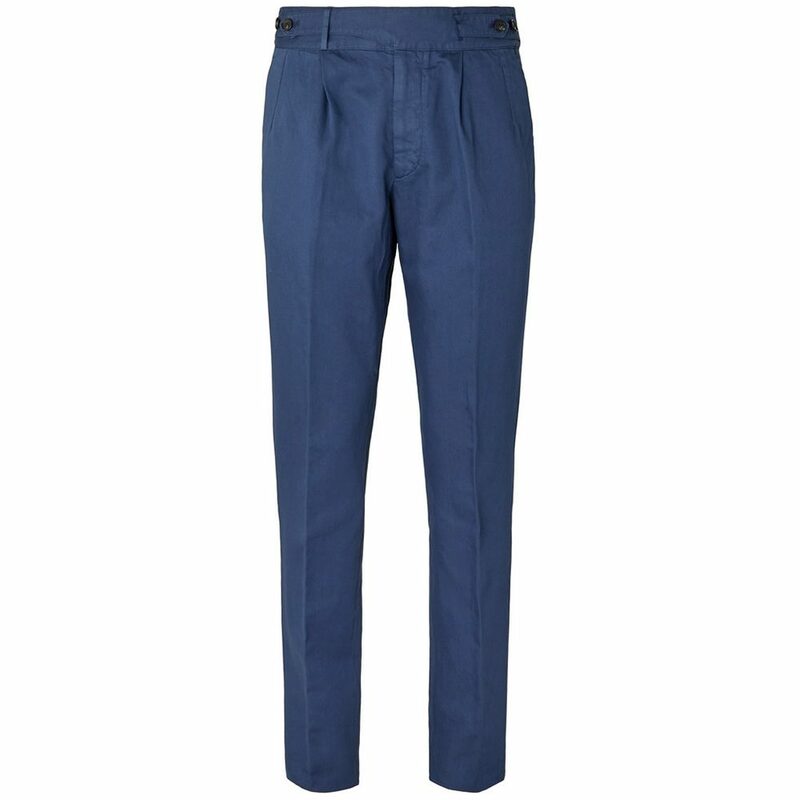 There is, however, an elegance to a high-waisted cut, providing the trousers come with a gentle taper. This avoids having an abundance of fabric getting in the way. 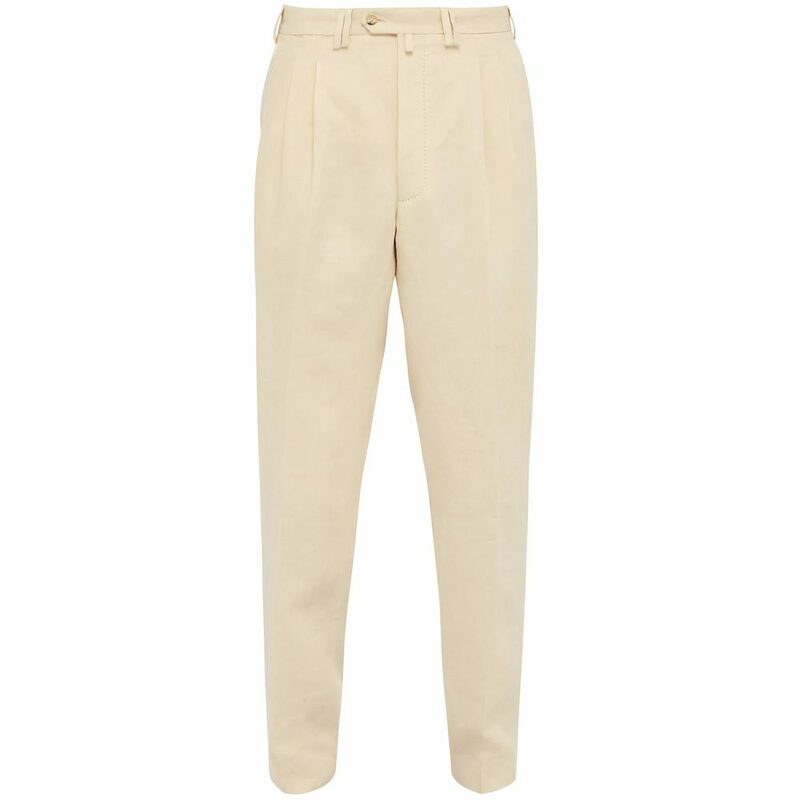 As with wider trousers (see below), a more fitted top half looks best, especially when it’s tucked in – the sophistication of a higher waist is lost if nobody can see it, so don’t going wearing your trousers with an untucked shirt. Tucked in is best. Pleats are a detail that somehow came to be associated with the older man, with bygone styles. But pleats not only give trouser tops a fullness that is more comfortable – one reason why they fell from favour, strangely – but they tend to better suit the fuller (which is to say, normal) figure too. There’s no need to go overboard – one or two deep pleats is enough, or much smaller tuck pleats if you’re going for more. As with high-waisted trousers, whatever you wear with this style needs to leave the pleats visible, so either tuck yourself in or ensure your T-shirt or knitwear sits neatly at the belt line. After what seems like an eternity in which the skinny-legged trouser has reigned supreme – worn by all, regardless of the fact that it only suits suitably skinny men – it’s easy to forget that trousers do, in fact, come in other widths. The wider leg makes for an entirely different silhouette, which is again best matched with a fitted or closely-tailored upper half that emphasises the looser cut downstairs. Unlike a slim silhouette, a wider leg does not take to being worn cropped, so make sure these are properly tailored to the ideal length. Get your pair in a denser, more heavyweight fabric and they will drape better too. Note that a wider leg – the cut of Hollywood’s golden era – tends to be flattering on most body shapes. For many men, fashion’s fascination with skinny-cut trousers has been the bane of their wardrobe for the last few years. Some have taken to the Stairmaster to ensure their calf muscles positively stretch their trouser seams to breaking point. Others have no doubt stuffed a pair of socks where it counts to make an even better show of their crown jewels. Wisely, others have simply overlooked this trend, and are now rewarded by the fact we’re coming out of the other side because 1) skinny legs only look good on skinny men, and truly awful on any man vaguely portly or muscular, and 2) slim, rather than asphyxiating, is as far inward as they will take their trouser proportions. Die skinny trousers, die!